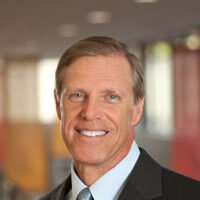 James Lime, Vice President, Environmental, Health, and Safety; ConAgra Foods Inc.
James Lime is Vice President, Environment, Health & Safety for ConAgra Foods Inc., where he is responsible for the EHS vision, strategy and policy deployment. Prior to joining the company, Mr. Lime was Vice President, Environment, Health & Safety for Pfizer Inc. based in New York City. Prior to Pfizer, Jim was VP, EHS for the Warner Lambert Co. He also worked for J.M. Huber Corp. as Vice President, Corporation Purchasing and Transportation and for Colgate-Palmolive Corp. as Manager of Raw Materials Purchasing. Mr. Lime began his industrial career with Westvaco Corp, where he held various positions of increasing responsibility in sales, finance and purchasing. He has a bachelor's degree in Business Administration from Rutgers College, an M.S. in Forest Management from the State University of New York at Syracuse and an M.S. in Pollution Prevention and Remediation from Rutgers Cook College.